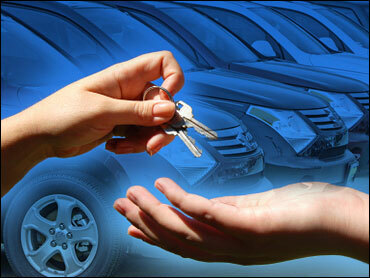 The American rental car industry is big business, pulling in more than $20 billion in 2010. But some rental cars may be unsafe for the road. Consumer Correspondent Susan Koeppen shared an "Early Show" investigation on the broadcast Wednesday. Koeppen noted, "It is against the law for a car dealership to sell a car that is part of an open safety recall. But did you know that rental car agencies don't have to follow that rule? So we wanted to see if we could find a recalled car on a rental lot. We focused on the Chevy Cobalt, a popular car for rental companies and also part of a safety recall." Is Your Holiday Rental Car Safe? Koeppen said their investigation took "Early Show" staffers to Boston, where they rented a 2010 Chevy Cobalt from Avis. Koeppen called the company and said, "Hi, I was just calling to find out if the vehicle I'm in has been part of the recall and has had its fix." A quick call to Chevy and "The Early Show" confirmed the Cobalt she was about to drive was part of a recall for a steering problem -- and had never been repaired. According to a National Highway Traffic Safety Administration report, "Consumers allege that the (Cobalt's) electric power steering fails suddenly while driving," resulting in 36 crashes and fires and 22 reported injuries." Koeppen alerted the manager at the Avis lot that she was with CBS News, and about the state of the car. She said, "Chevy just told us that this car on this lot was part of the open recall and hasn't been fixed." The car was immediately taken out of service. Clarence Ditlow, president of the watchdog group, The Center for Auto Safety, told Koeppen, "The reality is you're playing Russian roulette with rental cars." Koeppen asked, "Do you think rental car companies are knowingly letting consumers rent cars that need to be fixed?" Ditlow replied, "Rental car companies are knowingly doing this." Ditlow said, "The gamble is that there won't be a crash while you're renting it." Carol Houck lost her two daughters in a crash involving a rental car. Houck, of Ojai, Calif., said, "Rachel's steering ability was lost, and they veered into oncoming traffic and hit an 18-wheeler head-on." Turns out, the car, a PT Cruiser from Enterprise Rent-A-Car, was part of an open safety recall for a steering defect. Houck said, "Had my girls been informed at the time when they rented, I'd doubt very highly they would have rented the car." In a statement to CBS News, Enterprise Holdings, America's largest rental company, said, "Given all we have learned, today we would not rent the vehicle the Houck sisters were driving until it was repaired." As for the recalled Cobalt "The Early Show" rented, Avis Budget Group says, "Even in the rare event of such failure, the vehicles can always be steered, although greater steering effort may be needed at low speeds and during parking maneuvers." Houck said, "I don't want this to happen to anyone else." Carol Houck, she has to deal with the loss of her two daughters, all because a rental car wasn't fixed. Houck said, "We're not talking about investments here, we're talking about people's lives." This past June, a California court awarded the Houcks a $15 million judgment against Enterprise. Consumer safety groups and some members of Congress are now asking the Federal Trade Commission to require rental car agencies to repair any recalled cars before allowing them to be rented. How can consumers make sure the car they're renting is safe to drive? Koeppen said, "If you're going to rent a car, you should ask right there, 'Is this car part of a recall?' If they can't give you an answer, then you can take the VIN (vehicle identification number) and you can call the company and find out directly." Another option is a free recall check at Recall.Carfax.com.